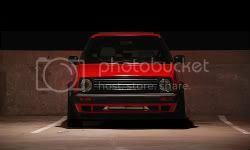 I've sort of noticed a good number of VW enthusiasts on this website, so I thought that maybe we should have our own thread. 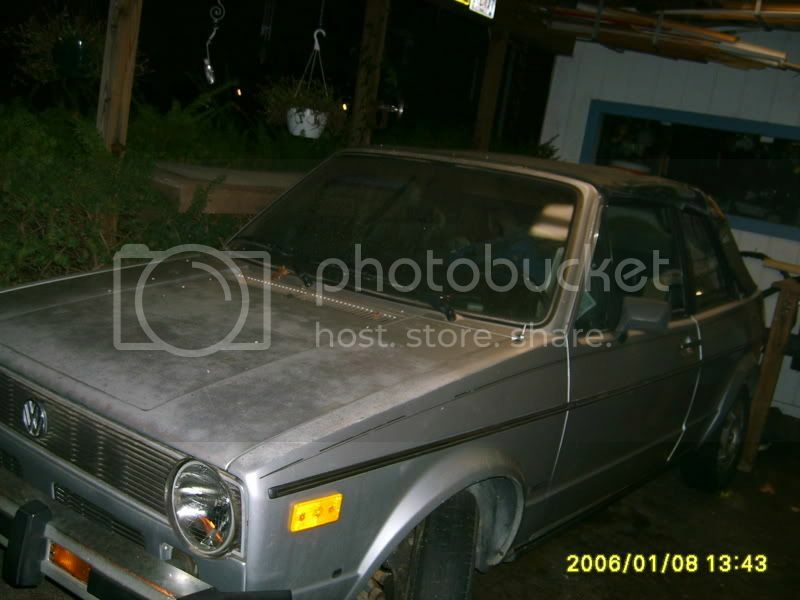 Personally, Volkswagens have always been my number one passion, since I was brought home from the hospital in a Rabbit. I'll start with the families collection. And the new addition, I'm flying out to Seattle next week to drive it back. An original yellow 1975 Scirocco. I've never actually seen one of these that hasn't disintegrated. The Porsche (and hopefully the yellow car) share a garage with my dad's VWs. 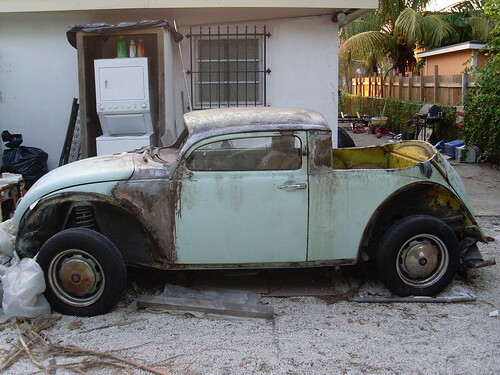 First off, his '57 Bug that he ground-up restored. And his next (very long-term) project 65 Double Cab Microbus. So post up your VWs! Aircooled, watercooled, it doesn't matter. They're all good! 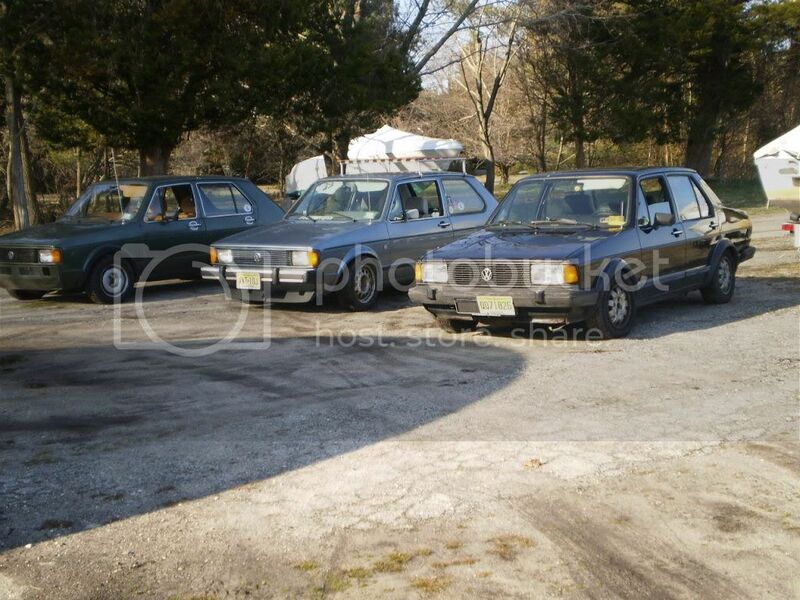 Had lots of VW's before migrating to Ingolstadt. 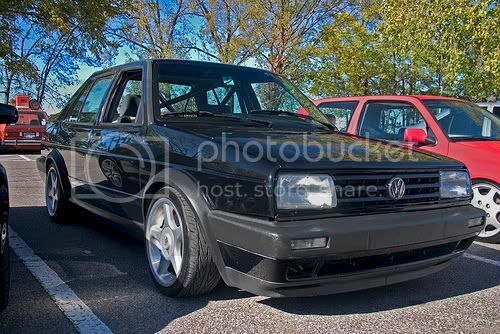 92 GTI. Started life as a bone stock 8V, then a supercharged 8V, then a supercharged 16V and finally a turbo 16V. For all you VW classic buffs. All my o.g. Empi GT after market stuff. ill play. the bunnies belong to me and my gf. the gli is a friend's (who also has a cafe project cb450). we have a mk2 ecodiesel too. rawfish - My favorite color combo, some day I'll have that in a 356. I'm much further than this, but it's a pic I have on hand. Cut 6 inches out of the roof, had to widen the roof by about 3 inches, and formed the back into a little cab. Also enclosed the back with a false floor and wall behind the front seats, and various other things.